The Captain grows all of his super hot gourmet peppers in aquaponic gardens. This oasis hosts fresh tilapia for fertilizer (poop), red worms in the grow beds adding their Vermiculture (also poop) and hot pepper plants reaching 6 feet tall and 4 feet in girth. It is an eco-friendly recirculating water system saving the environment countless thousands of gallons of water annually. The Captain is most likely the greenest person you know. He is often times seen frolicking in the garden tending to his deliciously pesticide and fungicide free hot peppers. Or, perhaps, releasing lady bugs and other natural predators into the lush landscape of the pepper plants. Rather than use chemicals to vanquish his nemesis he would rather squish stink bugs between his fingers while shouting out some form of obscenity at the foul pests. Each sauce is made with all natural ingredients. There are multiple peppers in each hot sauce. 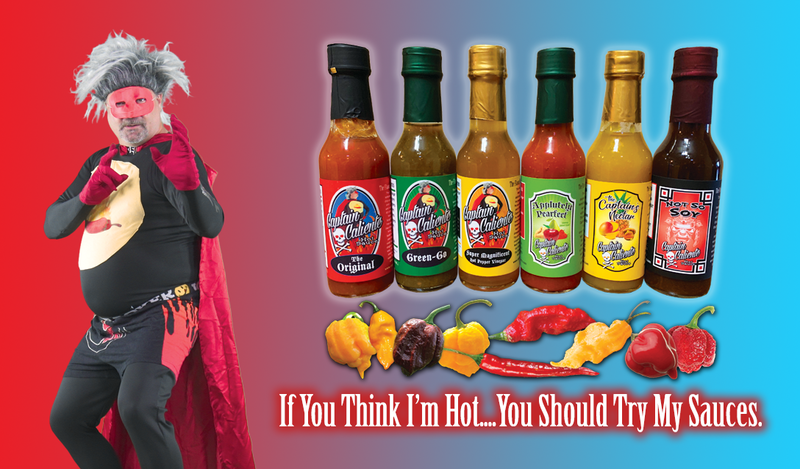 A variety of 10 different peppers are used in The Captain's secret formula for The Original. Every sauce is created with a specific purpose in mind and every one of them is delicious. The Captain would never use water, powder or anything apart from fresh hot peppers and fresh ingredients. If you've come looking for a mild sauce then you've come to the wrong place. 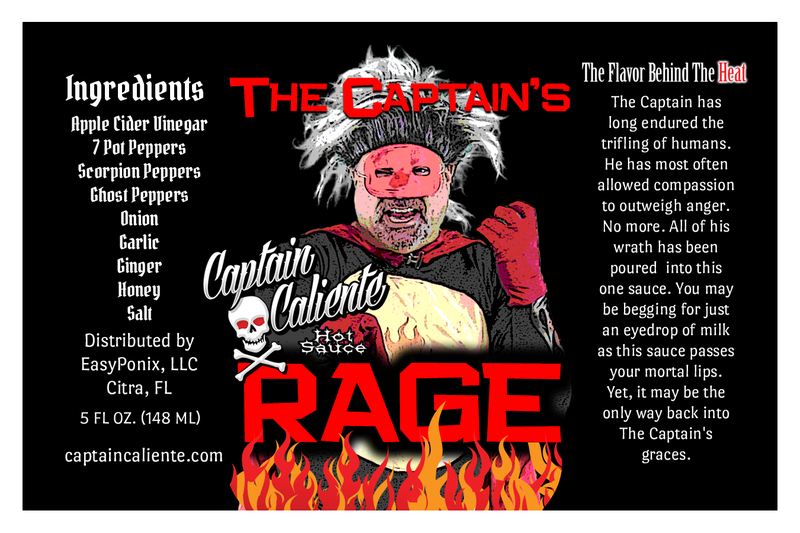 The Captain believes it to be a mortal sin to create a mild sauce. All of the many long years The Captain has dwelt amongst humans he has favored compassion rather than anger. No longer. He has poured all of his wrath into this one bottle! Available now.